A stunning specimen from recent discoveries in Erongo Mts. 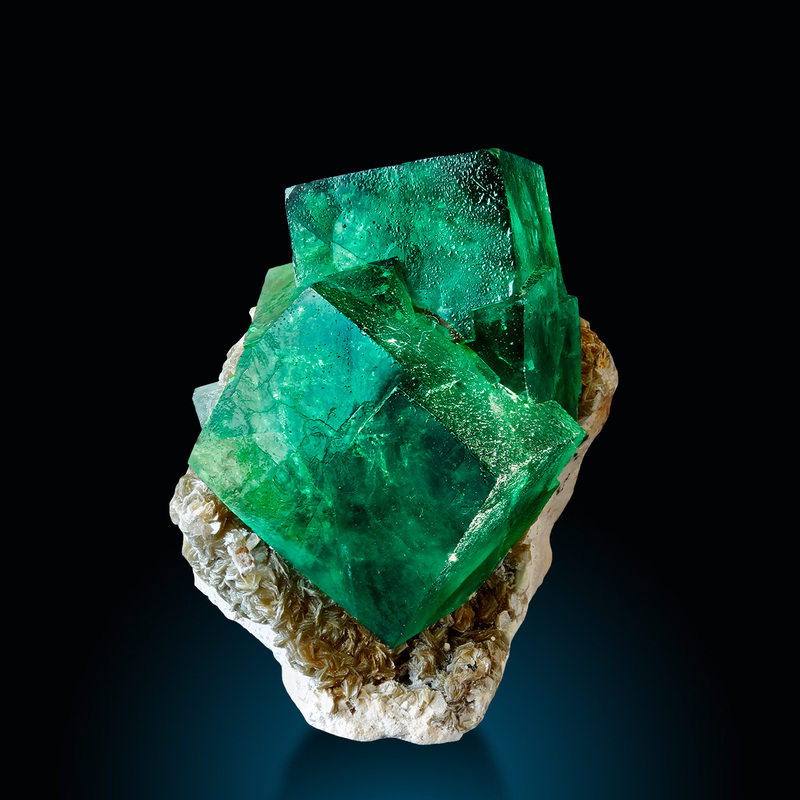 The specimen shows two razor sharp terminated, highly lustrous fluorite crystals resting on well shaped feldspat. 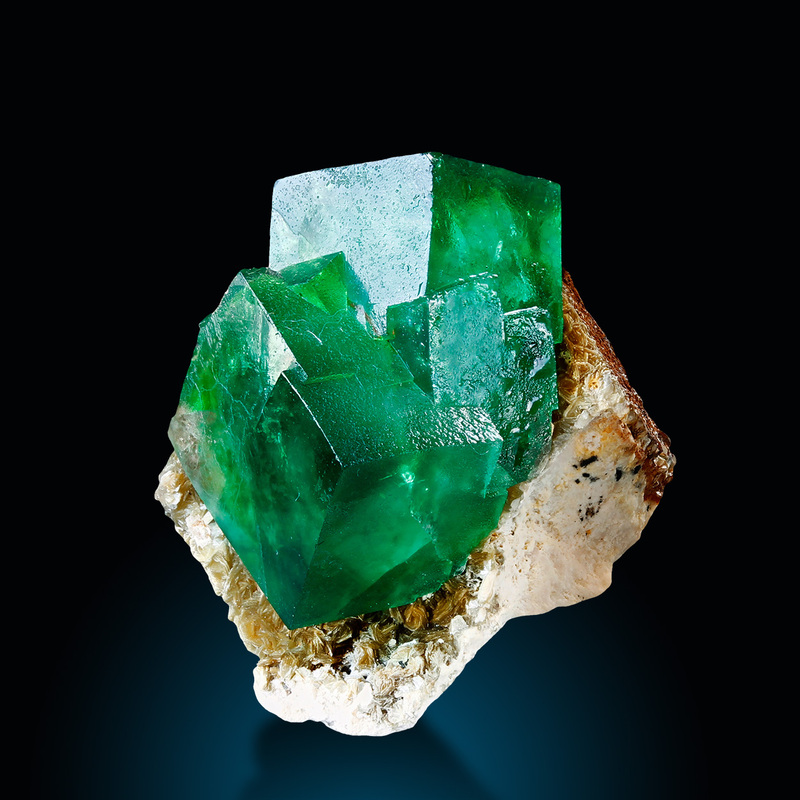 The color of the fluorites is fantastic. Although they look nice on my images, it is not even 50% of the natural visual impression when you see them in person. The color is emerald green, the camera was not able to capture the intensity and this amazing internal glow - so please note that it is really much better in person. looks great in various positions, no significant damages to report.